Quench your thirst the Pandoran way at an otherworldly pit-stop offering Na'vi-inspired refreshment. You'll find Pongu Pongu adjacent to the Windtraders shop. When you spot a friendly expat serving out-of-this-world drinks, you've come to the right place. 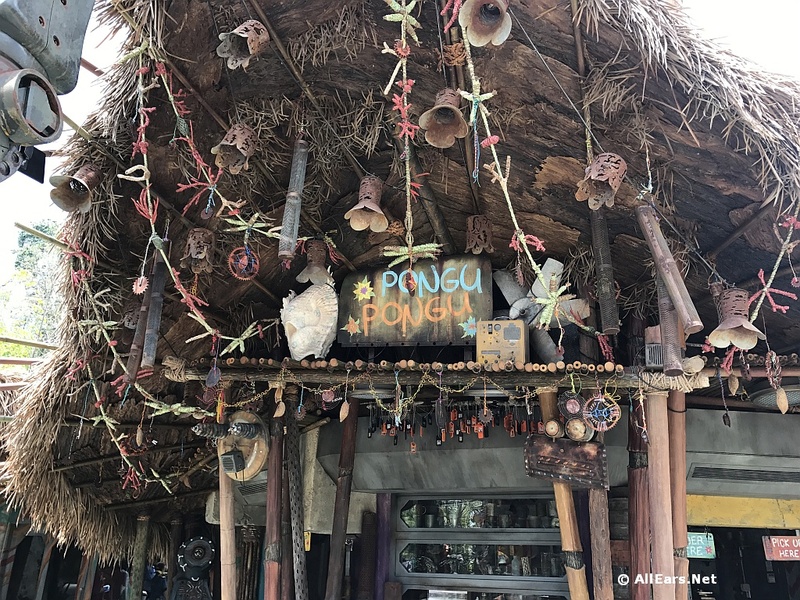 Meaning "Party Party" in the language of the Na'vi, Pongu Pongu welcomes weary travelers to try our bioluminescent frozen cocktail, indigenous beers-or even a sweet snack you won't find elsewhere!